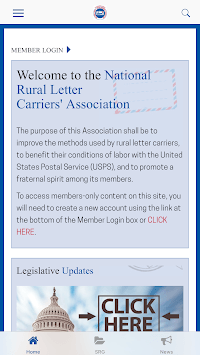 An App for members of the National Rural Letter Carriers' (NRLCA). Workplace resources including Current NRLCA News and Information, National Agreement, Stewards Reference Guide, NRLCA Magazine, Worker's Comp and much more. 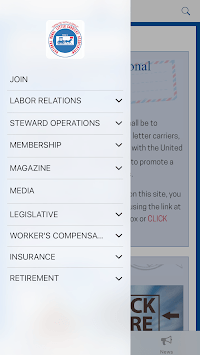 The Association is established upon the long-recognized need of Rural Letter Carriers to organize and create a united force, advance the interests of all members, ensure job security, enhance opportunities and assure our full share in the success of the United States Postal Service to which we contribute so substantially. The Association shall seek, with all of the resources at its command, to assist its members in the realization of their highest aspirations as workers and as citizens. Such aspirations are our right and shall be protected against all threats, In God We Trust. The Association is dedicated to the discharge of its responsibilities and the achievement of its objectives in accordance with the democratic principles embodied in the NRLCA Constitution. 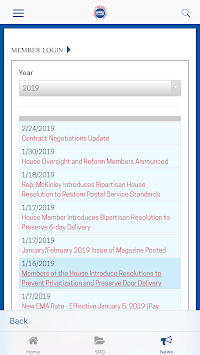 The object of the Association shall be to improve conditions of labor with the United States Postal Service, advance the methods used by Rural Letter Carriers and promote fraternal spirit among its members.